Recipe from ‘The Allergy-Free Cook Bakes Bread’. The texture was nice, but I did find they could have been sweeter (not surprising, considering the small amount of sugar the recipe calls for). I did make a few modifications: I used butter instead of vegan spread, and I sprinkled some raw sugar on top of the scones before baking. 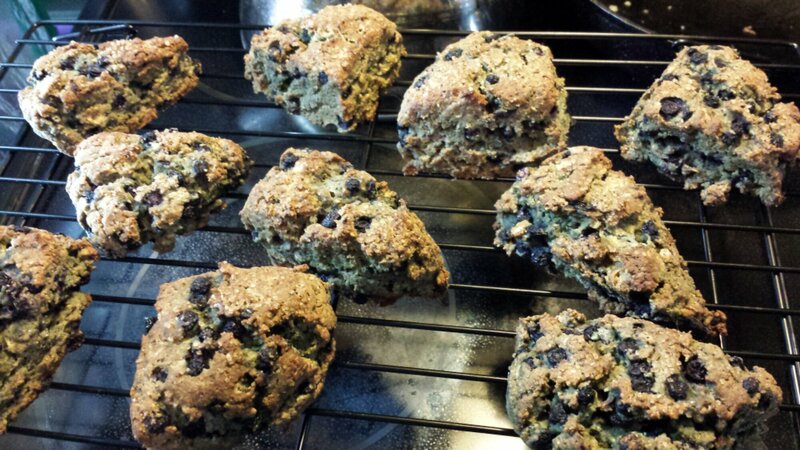 I didn’t flatten the scones too much before baking (a good thing, since they didn’t rise all that much). Finally, I found the yield was off and would have resulted in giant scones, so I cut the dough into more pieces. Great stuff! You have a very amazing bake!